Gemstones, What Is Happening In The World Of Gems And Trends. Gemstones add interest and meaning to jewelry, gems have been admired and even worshiped all through history. The world of gems is quite complex today with issues like, natural and synthetic gems, gem treatments and gem properties gaining importance. Ancient encounters by humans with various gems was initiated by tradition and superstitions. Gem lovers often believe in the metaphysical powers of various gems even today. Kaisilver is generally interested in making custom jewelry in gold or 925 silver with or without gems, we do not get too deep into providing loose gemstones. However with tremendous experience and a wide reach in gemstone sourcing, we can help you source a gem if it is not easily available to you. 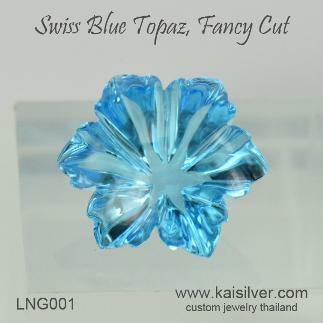 Our jewelry is custom made with designs and gems of your choice and we do not, put any limitation on the gem selection. You therefore need not stay within the gems shown or listed on our website. Contact our experts at sales@kaisilver.com with any questions or requirements that you might have. You need not commit to any purchase to draw on their expertise, so do not miss the opportunity to gain valuable information and knowledge. If you ever wondered why Kaisilver continues to give importance to Australian opals even when, opals from Ethiopian are easily available and at lower price points, we reveal our side of the opal story in this report. Read the details and understand why our opals are still sourced from Australia ... more. The world if natural rubies is not limited to the finest that comes from Burma. Most ruby lovers cannot afford the ever rising prices of high quality rubies from Burma and Mozambique. 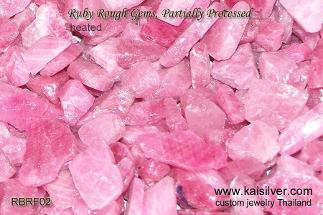 Kaisilver explores the rough ruby markets of Thailand as they hold the key to ruby supplies, to world markets. Fissure filled or glass filled rubies are not extinct but, increased gem knowledge among gem buyers is pushing ruby manufacturers to go back to the conventional heat process ... more. The price of jade from Burma has moved up rapidly, the major market in China can never seem to get enough of fine quality jade. With most of the remaining jade being treated to enhance its beauty and color, what are the options if you seek to wear natural jade at an affordable price? As a believer in the special properties of gems, you might wish to buy jade that is natural and not treated. Can this happen at an affordable price? 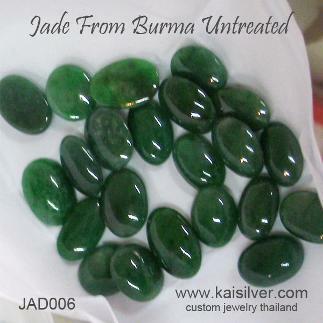 This Kaisilver report opens up the little known secret of affordable Burmese jade ... more. 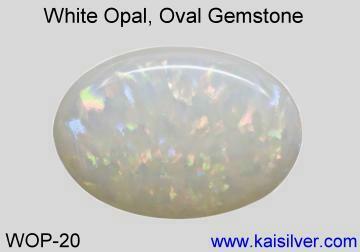 Not much of the moonstone found in Australia might be of gemstone quality but, the Australians truly love the gemstone. The gentle sheen on a well cut moonstone looks stylish and elegant. 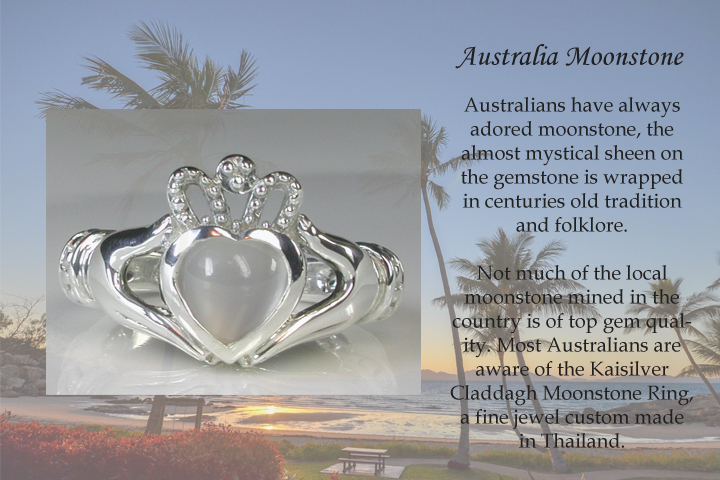 Kaisilver talks about the Australian passion for a moonstone claddagh rings, read all about it ... more. 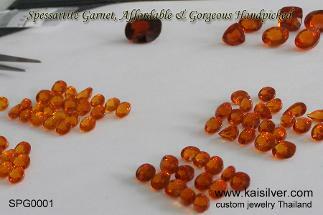 Gorgeous spessartite garnet, sparkling orange garnets from Kaisilver . If you love quality gems, we have big spessartite gems to amaze you. With complete expertise in sourcing and cutting all types of gem, we happen to be the best source for any gem found on our planet. So what should you know about spessartine gems ... more. 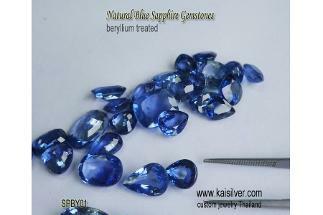 While beryllium treated blue sapphires gems are strong and durable, it is the duty of the seller to clearly disclose the use of the treatment to buyers. With fair disclosure and the appropriate price, beryllium heated sapphires provide a moderately priced option for those who wish to wear gorgeous natural sapphire gemstones without, feeling the burden of the tremendous price that such conventionally heated blue sapphires command ... more. Nature's creations are gorgeous but it often takes the skill and passion of humans to experience the complete beauty of nature. In this section we talk about gemstone artistry, the dedication of some of the finest gem artists to create shapes, cuts and forms that are absolutely outstanding and truly unique. These masterly crafted gems are priceless, many of them are so rare that it is highly unlikely that you will find them at any other place online or offline. Kaisilver can also custom cut gems as per your specifications ... more.